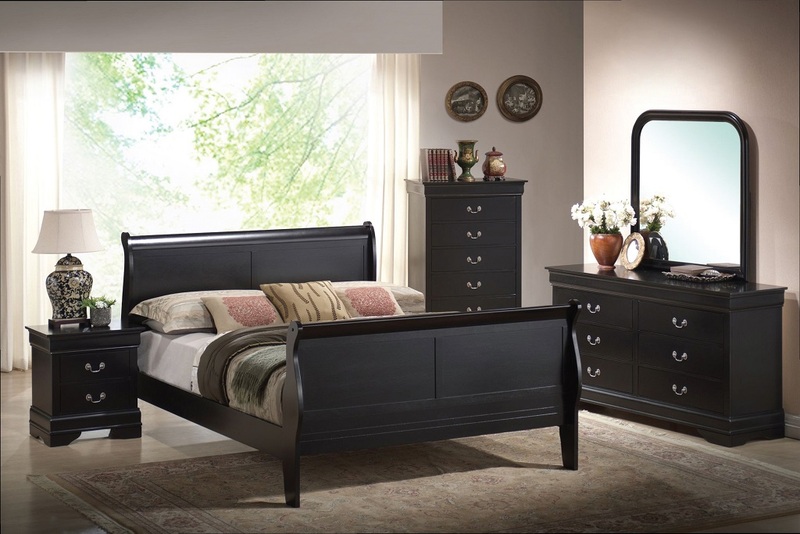 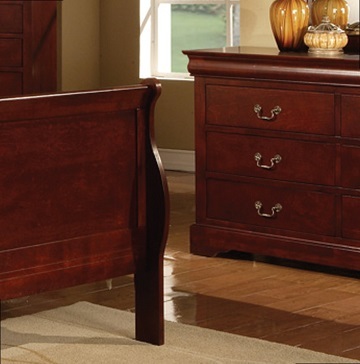 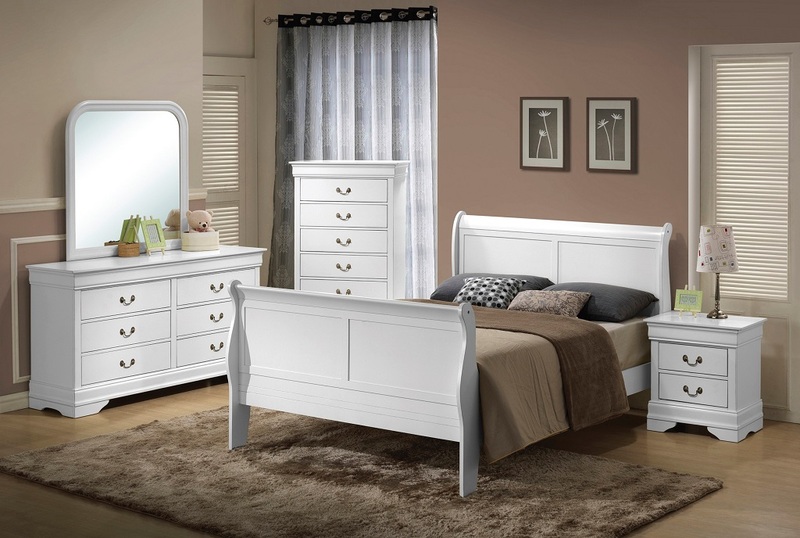 Louis Phillip Black Bedroom Set includes Queen Size Bed, Night Stand, Dresser, Mirror, Chest for $898.88. 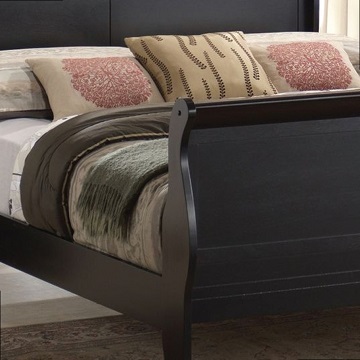 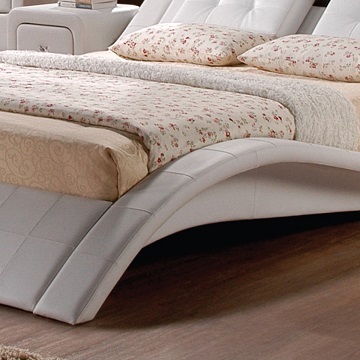 Also, the bed is available in King size 78″W x 82″L for extra $200.00. 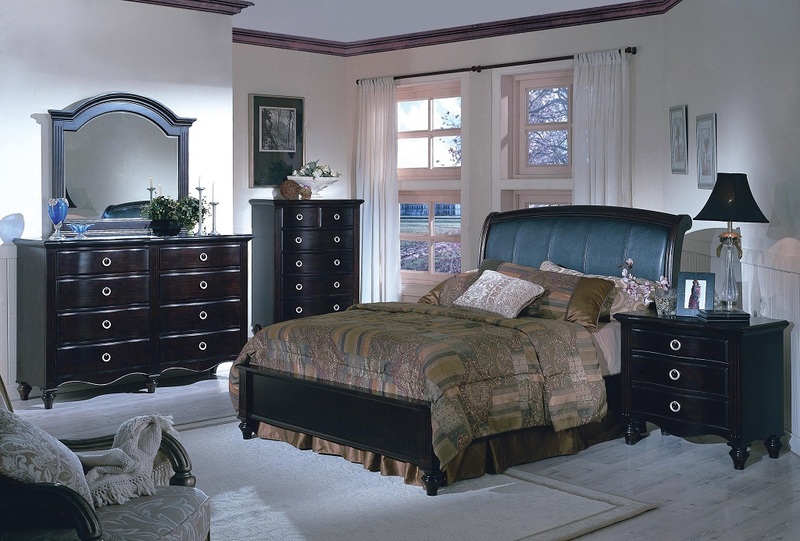 Louis Phillip Black Bedroom Set is a uniquely designed collection combining fine detail and elegant design. 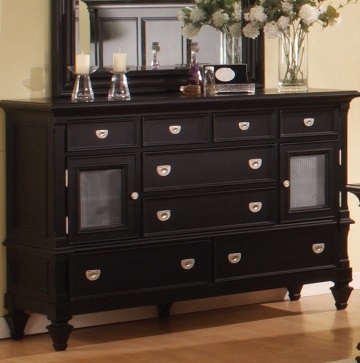 It offers the perfect balance between contemporary and tradition that is sure to please a wide range of furniture tastes.